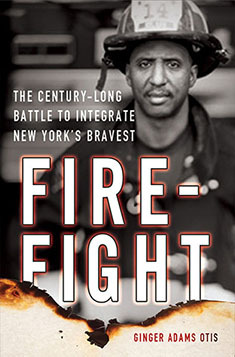 Firefight is a formidable work of social history that brilliantly sketches the struggle for black equality in New York City’s fire department. Ginger Otis highlights the structural obstacles and white privilege that thwart equal opportunity in the FDNY, while underscoring the heroic efforts of black firefighters to put out the fires of racial injustice that rage in their own department. In light of the recent racial troubles sparked by public servants in Ferguson and Staten Island, this powerful and insightful book couldn’t be timelier.